When you think about an ambulance, a bike is not something which comes to your mind. 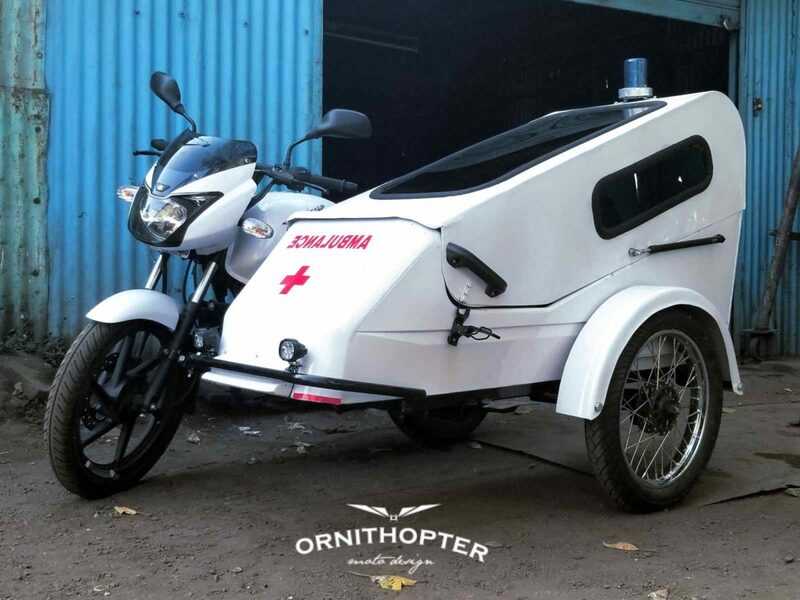 What if we told you that the folks at Ornithopter Moto Design have created this ambulance, which gets its power from a Bajaj Pulsar 150. It may be debatable, but this would perhaps transport a patient faster than your conventional ambulance, given the traffic-filled, not so compassionate streets of our cities. 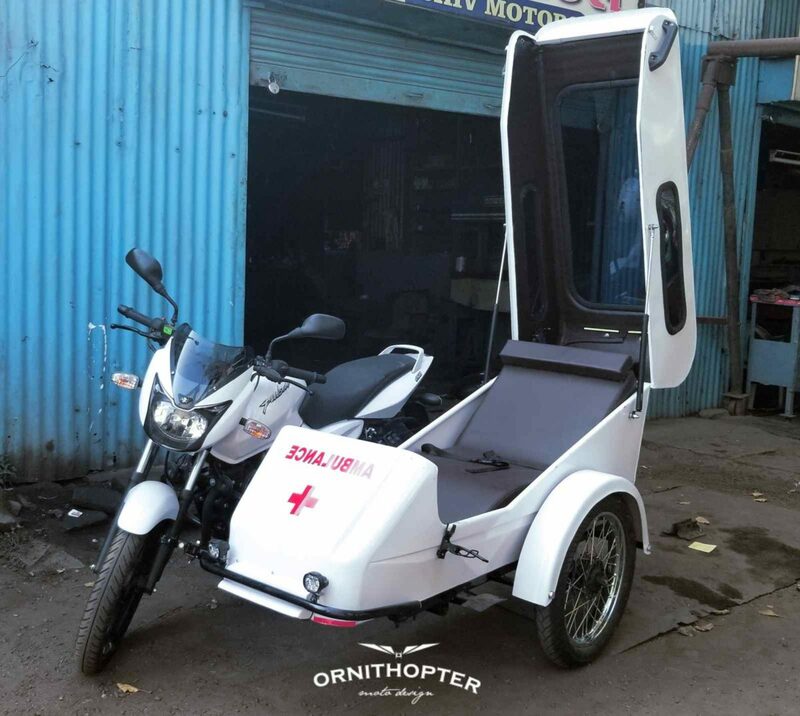 Built for an NGO in Gujarat, this Ambulance comes with a semi-sleeper, closed compartment which can carry a patient safely, to the nearest hospital. The pod also gets a blue siren on top, alerting other road users when the bike is on the move. The pod also gets additional lights, enabling this ambulance to work day and night. Coloured bright white, with the all-important lettering on the pod, it does appear to be quite comfortable for what it is, with a hydraulic assist lid to open and close. Keeping the patient comfortable in the pad is a proper ventilation system and some lighting. Keeping the cabin well-lit, are a few windows present. For its narrow track, this ambulance would also be able to reach remote locations and take the patients to the nearest hospital. The Bajaj Pulsar 150, used for this particular purpose, is a bike that has been around for quite some years, proving its mettle as a reliable machine. Powered by a 149 cc, air-cooled engine, the motor generates 13.8 hp and 13.4 Nm of torque. This enables the bike to tackle the additional weight it needs to pull. Moreover, with a company claimed efficiency figure of 65 km/l this ambulance is also cost-effective. Up front are telescopic forks and a disc brake, while twin shocks are present at the rear. What do you think about this modification, is it a brilliant approach to an ambulance?